The Lake Technical College Catalog provides important information about Campus Safety, Student Rights, Student Responsibilities, Admissions, Registration, and Programs Offered. For more information Download the PDF catalog opens in new window; 2.0 MB. 2018-19 catalog addendum (PDF) opens in new window. Read HTML catalog opens in new window. 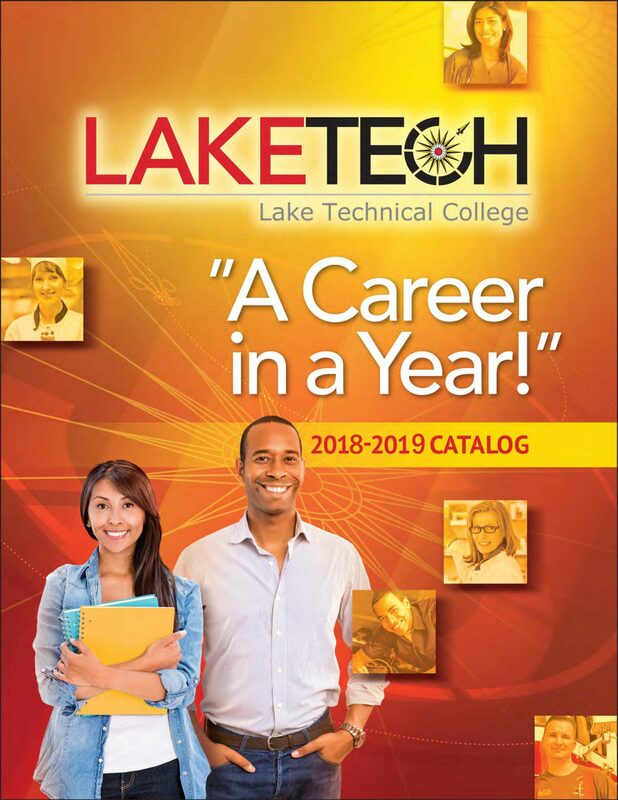 Read HTML Addendum to the 2018-19 catalog opens in new window. If you do not have a PDF reader, you may get if for free at the Adobe Website opens in new window; leaving laketech.org.